Wait until weather is cold and rainy/icy so they show up in daylight. Setup ambush on nasty rainy day with appropriate weapon to minimize tracking (elk rifle worked well in this case). 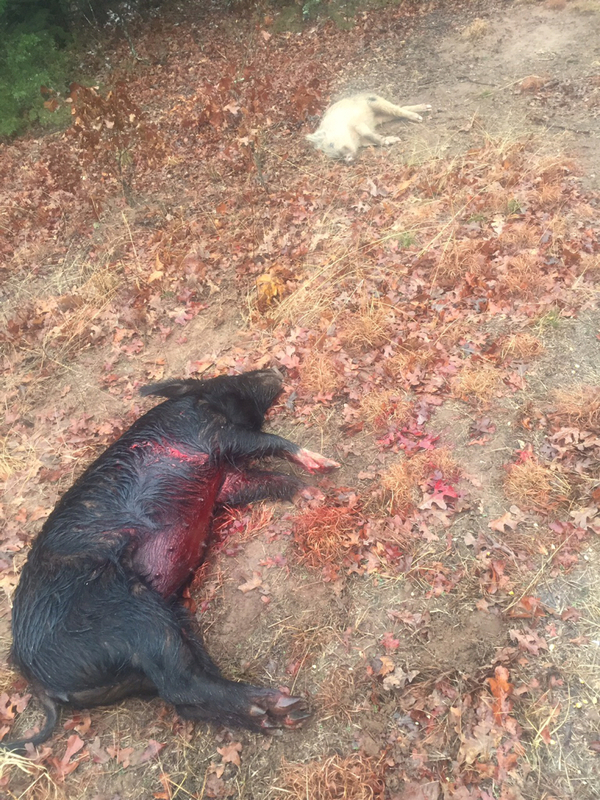 With rain gear, sharp knife and son inlaw assisting reduce pigs to cookable parts. 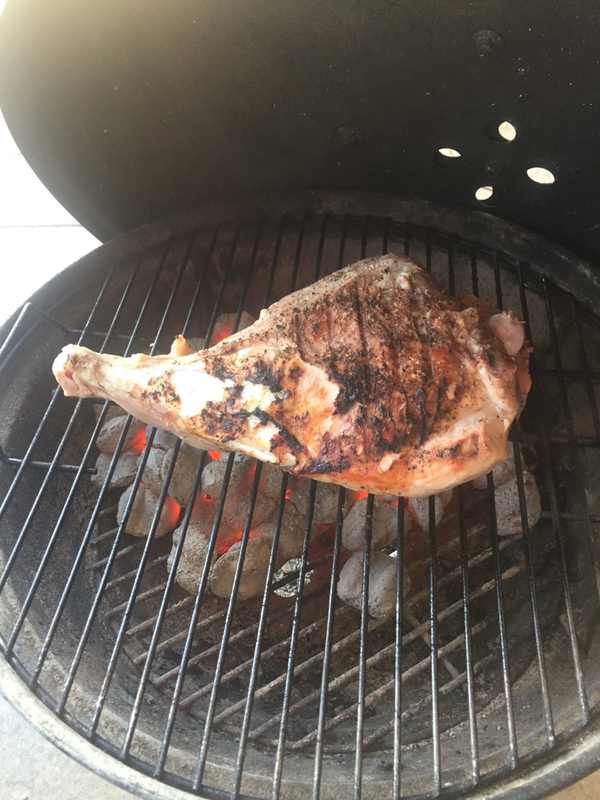 Over hot coals sear bone-in quarter. I moved it to smoker finishing to 190 in foil with cider vinegar, lime juice, crushed red pepper and seasoned salt. Add smoked pig parts cut enough to fit in pot. Simmer 1 hour. Last edited by Lost Arra; 04-07-2018 at 02:46 PM. Remove pig parts and debone meat and chop into spoon size pieces. 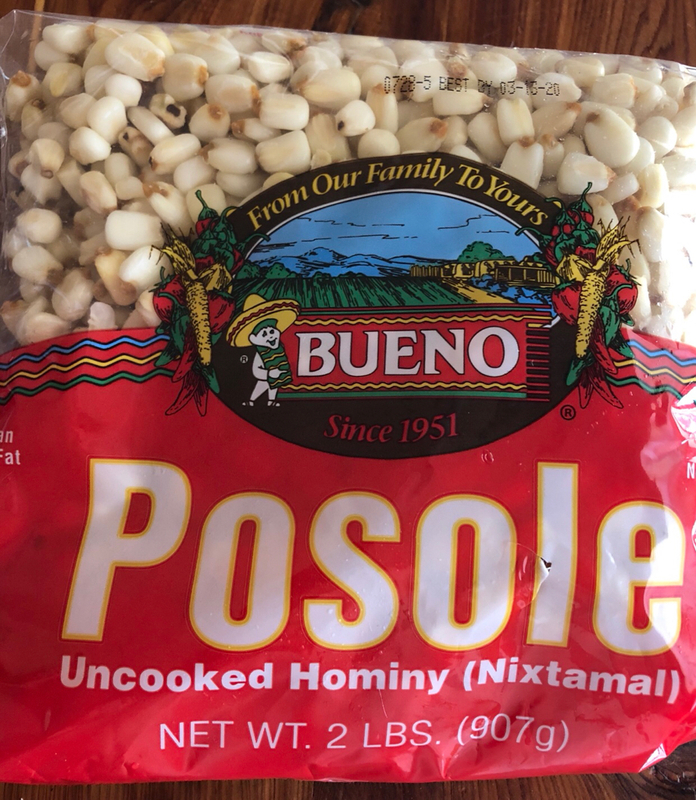 Put all meat and bones back in pot with two cans of white hominy for one hour of slow simmer then remove bones and serve with fresh cilantro, corn tortillas or chips. Some like grated cheese. Make a lot because somehow it’s even better as leftovers the next day. The canned stuff never has a great texture. It is just two soft. The key to texture is letting the posole flower. Once it passes the flower stage it’s just to mushy. I like to use dry posole but will use frozen in a pinch. You should be able to find it on the bulk dry isle. 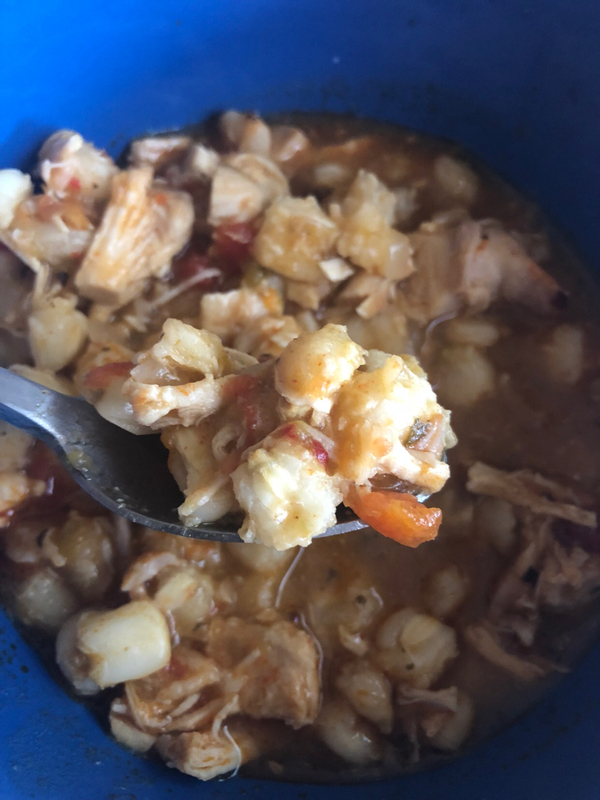 For those that just cannot handle stripped down posole use CHICOS. I’m on that dry posole for the next batch! Here is what the frozen looks like. I’m cooking some today. 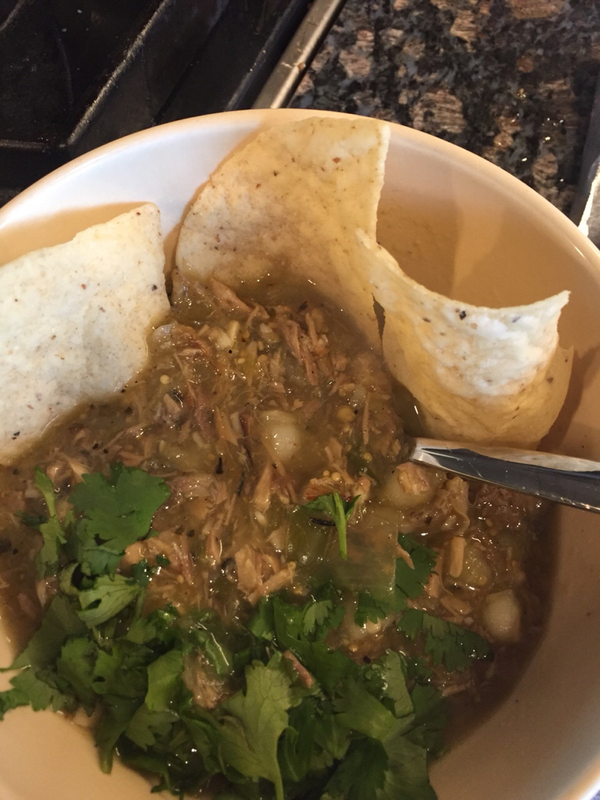 Green chile posole. The posole is flowered out nicely. 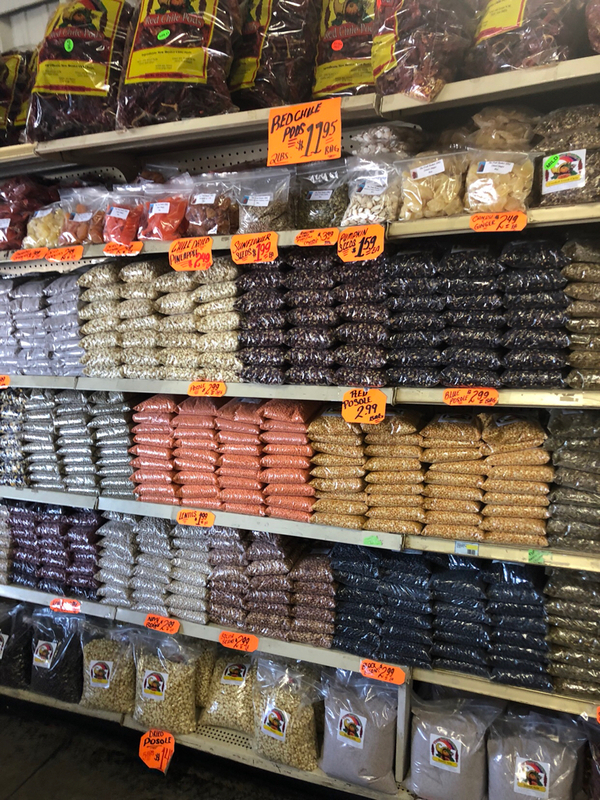 Do you add the posole late to avoid over-cooking?